2 Key Pull with 3 slots on the lock face. Customer can choose which two positions to pull out (12&3 or 3&6 o'clock) by changing the back plate mounting. 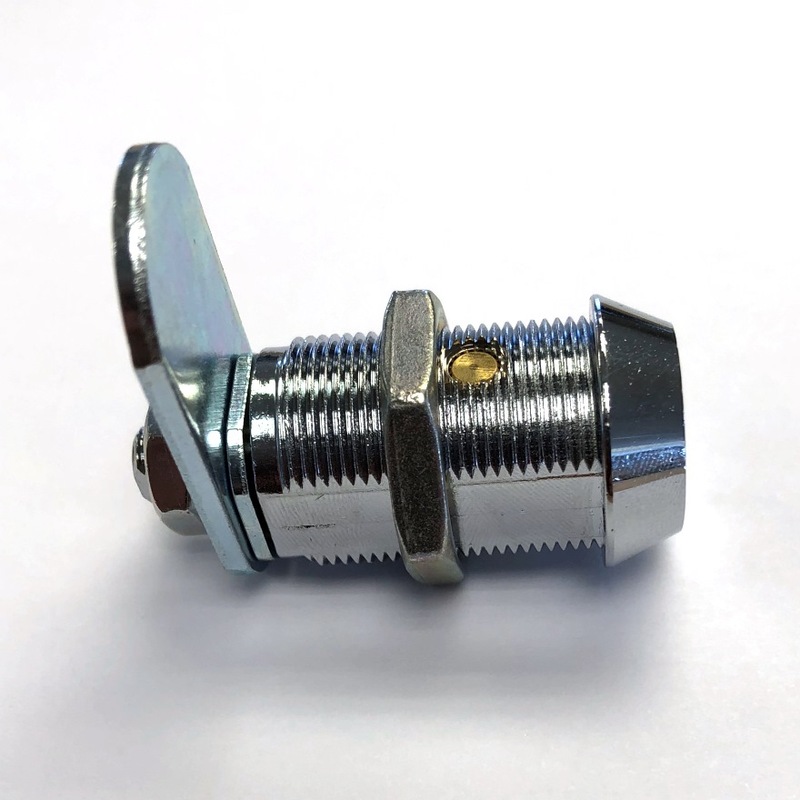 Tubular cam lock available with removable style cam only. Engineered for use in metal or fiberglass products. 7 Pin tumbler mechanism utilizing a tubular key which offers over 750000 combinations. 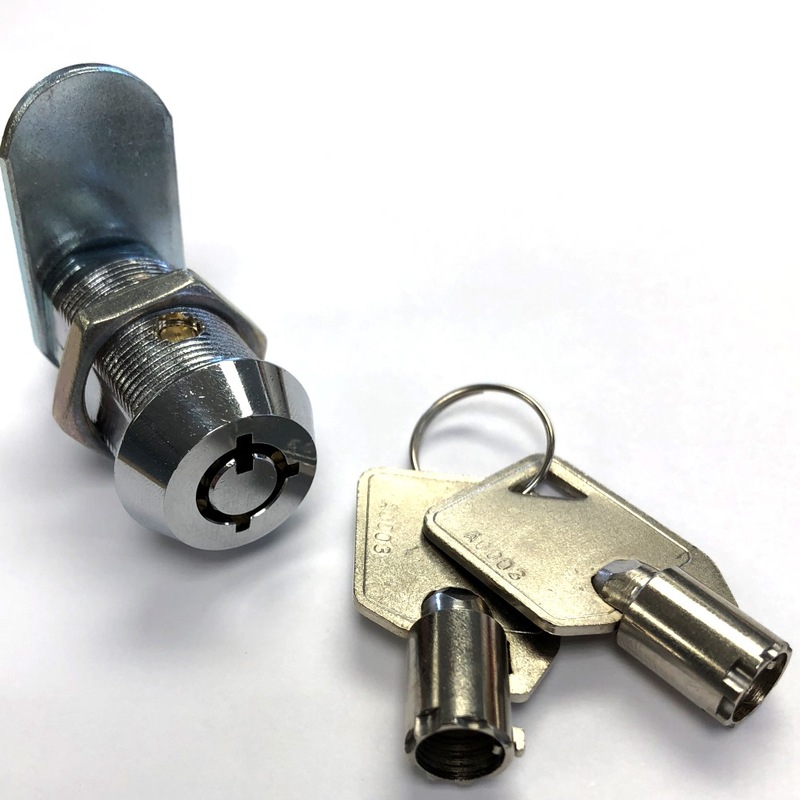 Easy replacement of standard CH751 locks on motorhome storage compartments with a much more secure lock that everyone in the park doesn't have a key for. Repskced 9 locks in a half hour. They came just in time to install on our travel trailer before our first camping trip. Easy to install and we are completely satisfied. 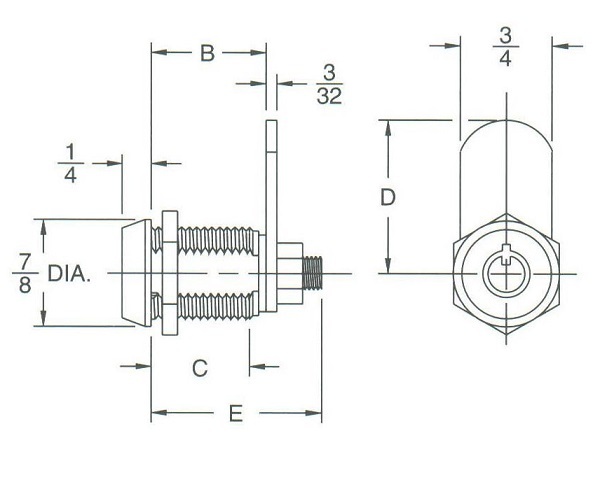 As you can see from the specification tab, the latching distance from the front of panel to flat cam is 1-1/8". It works with up to 1" material thickness.